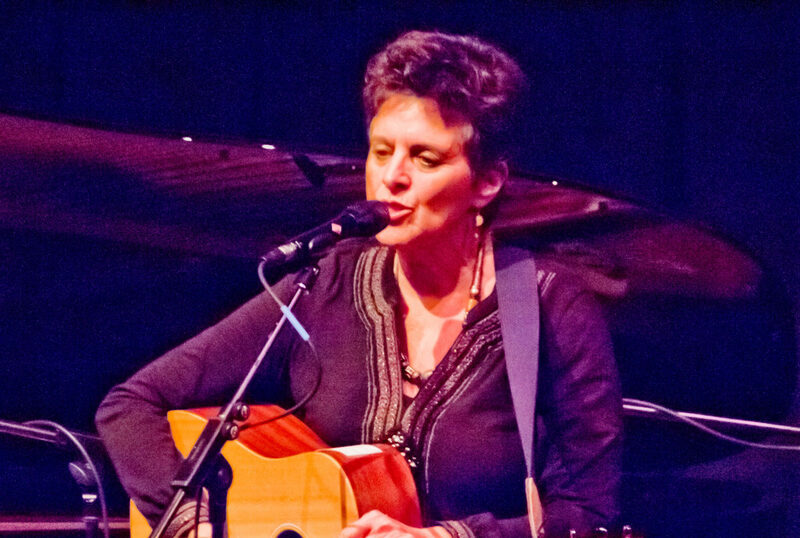 Boundary-crossing cantor brings soul to Conservative shul – J.
Cantor Rita Glassman's musical career has taken her from strumming guitar in a funky college coffee house to studying haftarah trope to recording two CDs of Jewish and world music. Now, after a seven-year break from being a full-time cantor, she's taken the helm of the largest Conservative synagogue in San Francisco, Congregation Beth Sholom. "It was time for me to get to a pulpit on a regular basis," she said. She last held such a position for five years at Reform Congregation Rodef Sholom in San Rafael. She left in 1991 to spend more time with her then-husband and daughter Rebecca, now 8. She also wanted to expand her musical horizons. "When you're a cantor, you're pretty much staying within one genre all the time," she said. "You don't often get to explore other aspects of your artistry." So in addition to filling in at various Bay Area synagogues as a freelance cantor over the past seven years, the Marin County resident has performed at music festivals, cafes and restaurants. She released her first compact disc, "Rita — Coming Into Light," in 1995. The soulful collage of 11 songs runs a gamut of emotions and moods, chronicling "the story of a woman who chose to take a journey into the unknown to recover her dreams, her passions and her spirit." Her second CD, "Walk With Me," came out last summer. It blends original numbers with tunes by such artists as John Lennon and Carly Simon. Simon's brother Peter produced the recording. "We wanted to create an album that would cross boundaries but come from a Jewish perspective because those are my roots, that's where I come from," Glassman said. "It's a very melodic, very meditative, very spiritual recording." Performing and recording have enhanced her cantorial skills, Glassman believes. "I'm a much more experienced singer now," she said. "I feel I can bring many different elements of musicality to my work as a cantor." In synagogue, she has learned to slightly lower her soprano range. "I find that as I bring my keys down, more people sing with me. It's more accessible. Also, in my own performance, it's more heartful. People seem more touched by it." Glassman, who grew up in Brooklyn the daughter of Holocaust survivors, has been singing nearly as long as she can remember. She recalls her second-grade music teacher, Mr. Zimmerman, pulling her out of chorus to laud her talents and encourage her to keep singing. "When I was little I was very shy, but I wasn't shy when I sang," she said. She made up ditties at a young age. By high school, she was putting friends' poetry to music. Attending college at New York State University Stonybrook, she hit the folk music scene, performing as a regular at the Rainy Night Day House cafe. Raised Orthodox, Glassman attended cantorial school at the Conservative movement's Jewish Theological Seminary, but did not complete her studies there. "I came to JTS at a time when women were not fully accepted into the movement as legitimate cantors. I really was very limited as to where I could get a job." Instead, she received a degree in 1985 from the Reform movement's Hebrew Union College-Jewish Institute of Religion's School of Sacred Music. There, it turned out, many of her teachers belonged to the Conservative movement and students learned to lead both Reform and Conservative services. "It's really something that 18 years after I started my training, I am now a cantor in a Conservative synagogue," she mused. "That's really in many ways like coming full circle." At Beth Sholom, which has about 525 families, Glassman replaces Cantor Ady Wyner. Wyner, who holds a Ph.D. in mathematics from Stanford, took a job at the University of Pennsylvania teaching statistics. Glassman is happy to fill his shoes. "I find [Beth Sholom] to be a very warm, vibrant and deeply committed congregation," she said. "We're happy with each other."